Our home and commercial doors, we manufacture in New York, are quality engineered for durability and ease of access. We can fabricate recessed panels, contemporary designs, laminate surfaces and a fantastic selection of exotic wood veneers. We have no projects that are alike. Doors that we produce have a critical role in the structure, design and integrity of a building. We fabricate doors that meet your design and performance criteria, and detail installation standards that will stand the test of time. 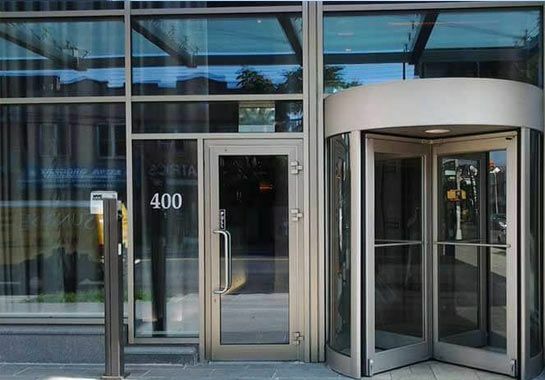 Commercial glass doors with fire resistance and thermal properties. Herculite doors — all-glass doors — look impressive. While herculite doors may be best used for interior doorways. Commercial aluminum doors are lightweight, insulated and come in hundreds of colors with a variety of hardware.